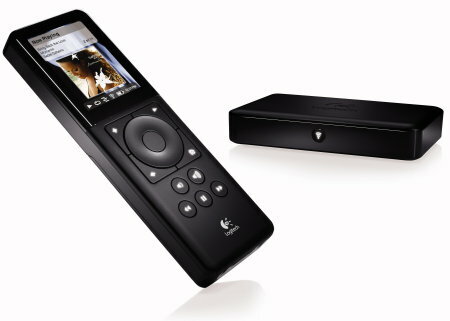 Round up The Roku Soundbridge M1001, Logitech's Squeezebox Duet, Philips' Streamium NP1100 and the Sonos Digital Music System all offer ways to get the music on your hard drive to pump out of your stereo. They do so in various forms with various extra functionalities and at various prices, but at the end of the day they all do basically the same job. All allow you to place your computer, Wi-Fi router and hi-fi in different parts of your house and still indulge in single-minded pursuit of the groove. Physically, the Roku and Philips streamers have the most in common, both having LED screens built into the main units and screen-less remote controls, so you have to be with in sight of the base units to use them. 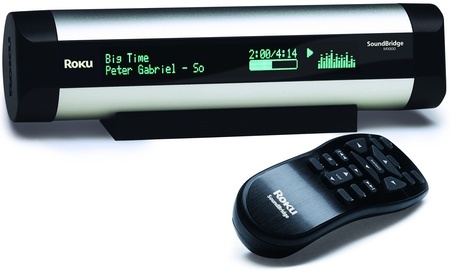 Roku's Soundbridge M1001: a lovely bit of kit? The Roku is a lovely and unique bit of kit: a silver tube 60mm in diameter and 255mm in length that sits on a rubber mount to stop it rolling about. The Philips is more work-a-day, being a 195 x 104 x 38mm block of a device with the main housing sitting inside a clear plastic sleeve – this could have been purpose-designed as a dust trap. The foam packing our review device came in had started to disintegrate so the gap between the device and the housing was full of black dust which was none too attractive.